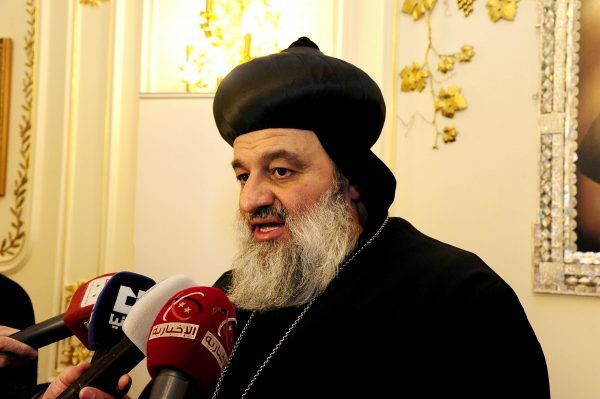 Upon hearing about the terrorist attack on St. Peter Church near St. Mark Cathedral in Cairo on Sunday December 11, 2016, which resulted in 25 martyrs and many injured, His Holiness Patriarch Mor Ignatius Aphrem II, Patriarch of Antioch and All the East and Supreme Head of the Universal Syriac Orthodox Church, condemned this act of terrorism and all the attacks that are aiming at destabilizing the countries of the Middle East and creating division among their people. His Holiness prays for the martyrs who died in the blast, asking the Lord to have mercy on their souls and to comfort their families. He also prays for the recovery of the injured. His Holiness Patriarch Mor Ignatius Aphrem II offers condolences to his brother in Christ His Holiness Anba Tawadros II, Pope of Alexandria and Patriarch of the See of St. Mark, and to the sister Coptic Orthodox Church, its faithful and all the Egyptian people. His Holiness prays to the Lord Jesus Christ, Whose birth the Universal Church will celebrate soon, to spread His peace in Egypt, Syria, Iraq and in the entire Middle East, and that the whole world may live in peace and stability.